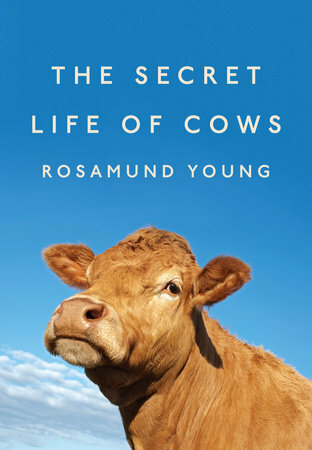 Rosamund Young has overseen Kite's Nest Farm in the Cotswolds for decades, and in that time she and her colleagues have steadfastly refused to organize their farm's produce along the hyper-industrialized lines of modern livestock farming. At Kite's Nest Farm, cows and hens and pigs are treated with empathy and affection, allowed to move around freely, associate with each other freely, and all of it is watched closely by human caretakers who delight in their company and relate among themselves and to their visitors countless little stories of exactly the type that fond parents always have. Cows are individuals, as are sheep, pigs and hens, and, I dare say, all the creatures on the planet however unnoticed, unstudied or unsung. Certainly, few would dispute that this is true of cats and dogs and horses. When we have had occasion to treat a farm animal as a pet, because of illness, accident or bereavement, it has exhibited great intelligence, a huge capacity for affection and an ability to fit in with an unusual routine. Perhaps everything boils down to the amount of time spent with any one animal – and perhaps that is true of humans too. She fleshes out observations like these with oddly practical points designed to undermine modern assumptions many people have about the alleged efficiency of “intensive” farming. The simplest truth she relates is one known to farmers for thousands of years: the happier animals are, the healthier they are. But the main thrust of The Secret Life of Cows is that there aren't any secrets, only obvious truths that are deeply uncomfortable for humans who've grown comfortable in the flow of the modern meat-production industry. “Bovine needs are in many respects the same as human ones: freedom from stress, adequate shelter, pure food and water, liberty to exercise, to wander about, to go for a walk or just to stand and stare,” Young writes. “Every animal needs congenial company of its own species and a cow needs to be allowed to enjoy her 'rights' in her own way, in her own time and not according to a human timetable.” And the qualifiers – “in many respects,” the semi-quotes around “rights” – are included more out of civility than necessity; remove the qualifiers, and the truth remains unchanged: these animals are people, not commodities.